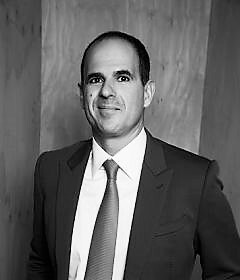 Marcus Lemonis, Business Speaker. The Profit Star. Entrepreneur. Marcus was born in war-torn Beirut, Lebanon in 1973; and, at nine months old, was adopted by a Lebanese and Greek couple living in Miami, FL. As a young child, he was exposed to positive and prosperous business values at his family-owned business, Anthony Abraham Chevrolet. His entrepreneurial spirit bloomed at age 12 while attending Epiphany Catholic School, when he started a lawn mowing service in order to generate money to open a candy business while enlisting his friends for their help. He then graduated from Christopher Columbus High School in Miami and moved to Milwaukee, WI to attend Marquette University, where he studied Political Science, Criminology and Economics. He returned to Florida after graduation and ran for a seat in the Florida House of Representatives. At age 22, with no political experience, he gained the endorsement of the Miami Herald. Though he lost the campaign, Marcus refocused and held several automotive sales and managerial roles. It was a conversation with family friend and former Chrysler CEO, Lee Iacocca, who advised him to get into the camping and RV business, which put him on the path to eventual chairmanship at America’s #1 source for RVs, camping accessories, RV maintenance and repair, Camping World and Good Sam. Lemonis was recognized for having “more impact on the industry than any single individual or company in recent memory as an agent of change and retail consolidation,” when RV Business Magazine named him their 2007 Newsmaker of the Year. In addition, Crain’s Chicago Business featured him in their 2005 edition of “40 under 40,” and in 2008, Ernst & Young named him Entrepreneur of the Year. On CNBC’s reality series, The Profit, which returns for its fifth season in 2017, Marcus lends his business expertise to struggling businesses in various industries across the country while using his famous people-process-product principle. Through his 3P mantra, he analyzes every business by the quality people, whether they have an excellent and relevant product, and the best possible process for creating, delivering, and selling that product. Over 4 seasons of The Profit have aired since July of 2013 and more than $40 million dollars of his own money has been invested into helping these small businesses, and after experiencing tremendous success, his mission continues. While many people frequently call him the “business turnaround king,” he will be the first to say that he really helps people with tough love so they can use the experience to inevitably succeed. His new show, The Partner, will also premiere in 2017, in which candidates from diverse business backgrounds will compete for the opportunity of a lifetime – a position working alongside Lemonis and an equity stake in a multi-million-dollar company. Marcus is truly passionate about people. His philanthropy started in college, where he served as the president of Marquette’s Student Athletic Committee and planned a citywide clothing drive to help the homeless of Milwaukee. Over the years, he has also contributed time and money to various organizations near and dear to his heart. Marcus drives results through collaborations, partnerships and relationships. His advice for aspiring entrepreneurs is simple: know your numbers, trust the process and remember that he’s 100 percent IN CHARGE!